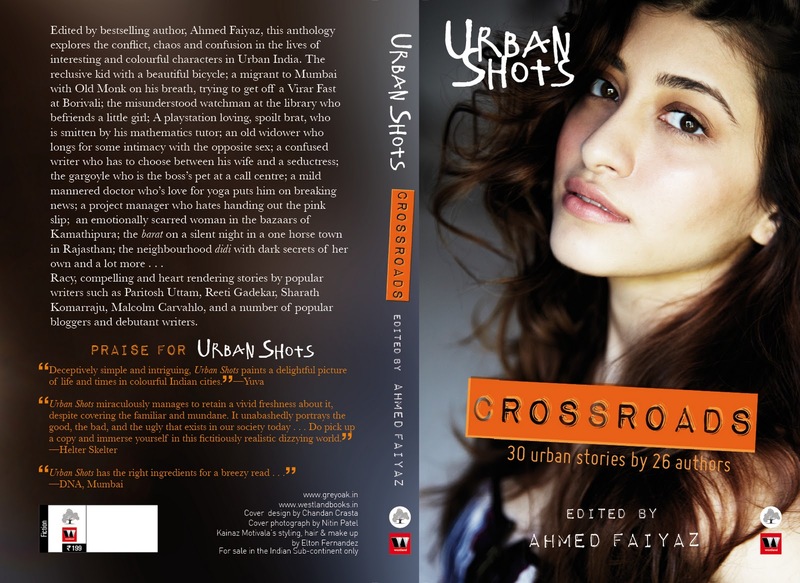 A collection of Indian short stories (30 urban stories by 26 authors) edited by best-selling author Ahmed Faiyaz. It is very difficult to write review for a short story collection, because you cannot judge if book is good or not. If one story is excellent and another story is not good, you cannot give an overall rating. So, in this post I recommend some good stories in the book leaving behind the not so good ones. My favorite is Rajasthan summer by Ayesha Heble - It is a simple ghost story with a twist at the end. Everyone has a story by Gayathri Hingorani – Minu bai, a maid walks through us to different homes, different lives, different problems and different stories from where she works. Rich or poor or liberated or neutral or joint family everyone has their own share of problems. Cross Roads by Ahmed Faiyaz – Excellent story narration and un-predictable climax. This is my next favorite pick form the book. Plummet by Avnee Rajesh & Pranav Mukul – A close up on a student’s life, his perspective on everyone around him. Story is very realistic as we see many parents in India who compare academics of their children to their neighborhood kids without realizing the potential of their children in other fields like sports, arts etc., This also shows how much pressure is put on those children which sadly leads to suicidal tendency. Baba Premanand’s Yoga class by paritosh Uttam – One of a kind humorous story and we can expect such an excellent story from Paritosh obviously. Story shows how circumstances play with us some times and make things out of control. It felt odd, realizing that it wasn’t so much that my eleven-year-old son needed me, but that I needed him. Mind games by Manisha Dhingra – It’s a complex story of a person with some mental illness because of which he is in a hallucination that he married his college love even after breakup. We just feel pity of the character. Wrong strokes for Deepalaya – A motivational story dedicated to many soldiers who lose their lives to protect us and our country from invaders. Jump Didi by Sharath Komarraju – It’s about a mysterious baby sitter with her own dark secrets. It highlights the issue of child sexual abuse. Pasta lane by Siddhartha Bhaskar and The Gap by saritha rao are also worth a mention. There are also some stories which are not good at all and I felt boring to read. But, overall collection is good. When compared to other short story collection ‘Urban shots – bright lights’ this collection is not that great. My earlier review on Urban shots - brights lights can be found here. A time pass read best for a train journey. Pick up the book from flipkart.com if you need some discount. thanks @lonely planet :) i will always have patience for books. Lovely review! I really like some of the stories you mentioned, too, especially Baba Premananda's Yoga Class and Every one has a story.